Send a selection of springtime snacks to celebrate any occasion! 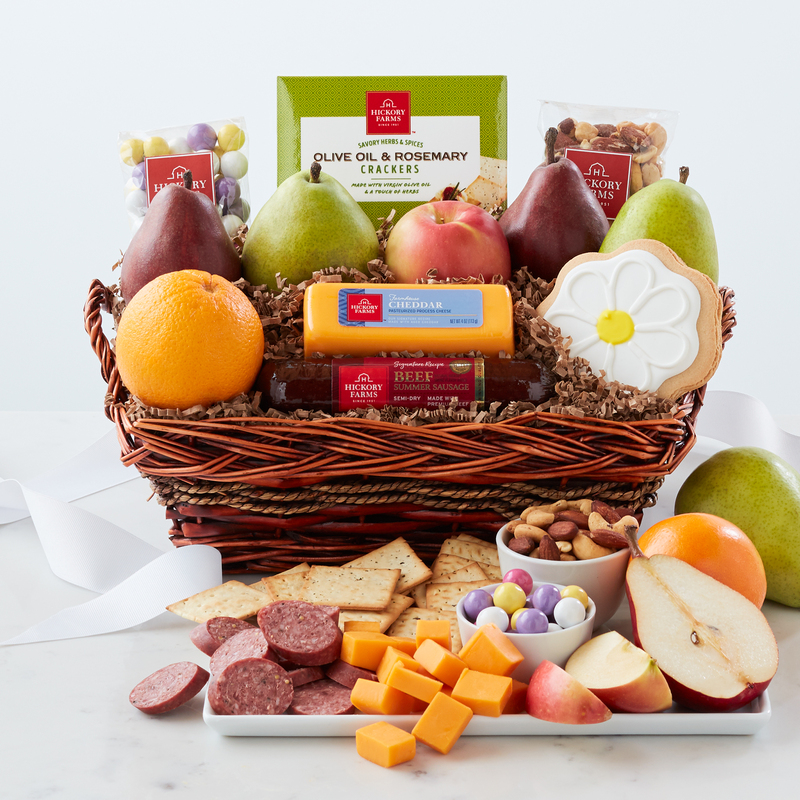 This sunny fruit basket is filled with nuts, sweets, fresh fruit, and our Signature Beef Summer Sausage and Farmhouse Cheddar cheese. Have this fruit basket delivered as a thoughtful gift to welcome the season! Saturday - Monday delivery is not available for this item. Fruit gifts cannot ship to PO Boxes, PR, GU, VI, AK, HI, Canada, or overseas FPO/APO military addresses. This gift may ship separately from other gifts in your order.